The bison calf is from Teton/Yellowstone. The herd was crossing the fence but the calf did not find an opening. Finally it crawled below the fence to it´s mother. Today I have critters from my travels. ...I'm waiting for the Monarchs to return, enjoy your weekend. Hello, I am glad the calf made to the other side of the fence. Pretty Monarch photo. 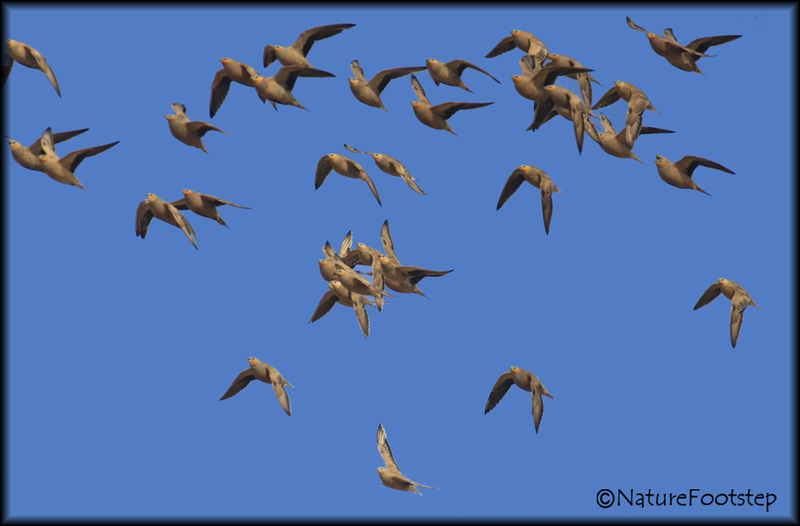 The Spotted Sandgrouse in flight is a neat capture. Thank you for linking up and sharing your post. Happy Saturday, enjoy your weekend! PS, thanks so much for leaving me a comment. Hello. Wonderful photos. I like most the first photo. It is great. I haven't seen a butterfly yet! I'm waiting. We have two that overwinter, but I haven't seen any! I saw a monarch last week, but he was too busy to pose for me. 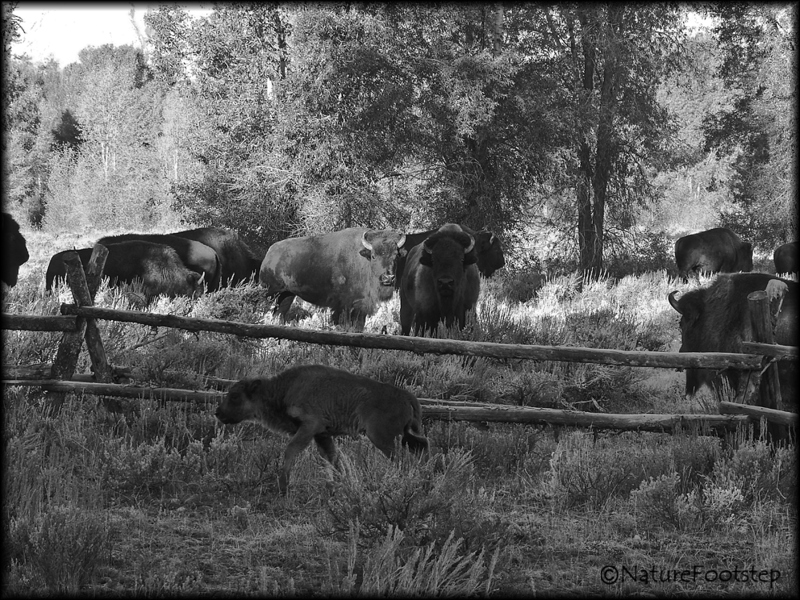 Love seeing the bison pics. Nice flight shot of the SandGrouse. 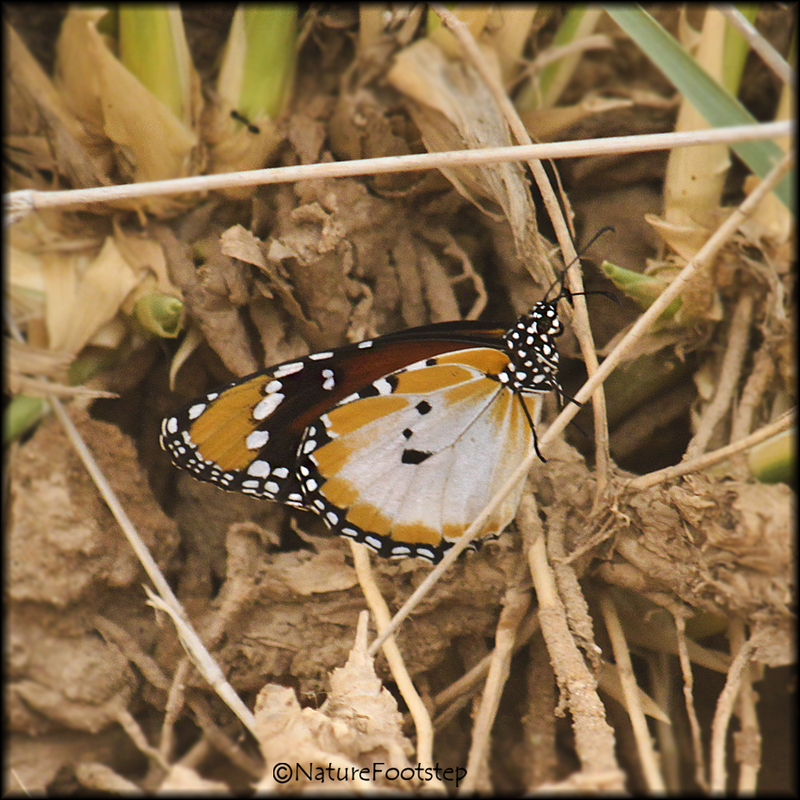 Nice to see the underwing of the Monarch too. oh lovely butterfly, we have quite a few of them here at the moment. Great travel pictures! I don't think I've heard of a spotted grouse...it sure is a terrific in-flight photo! I am here to send you my thanks for linking in with us at I'd Rather B Birdin' this weekend. Wonderful travel collection! That’s such a great flight shot and also a perfect butterlfly. I am sure there were a few moments of stress for that calf until it could find its way back to its mother.